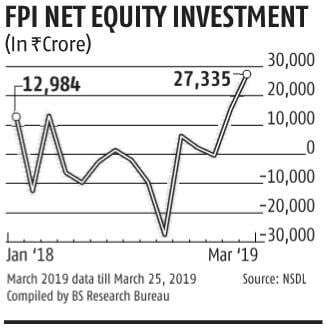 Nearly 10 per cent foreign portfolio investors (FPIs) registered in India have not complied with the disclosure norms, the deadline for which ended on March 21. According to a circular by market regulator Securities and Exchange Board of India (Sebi), all the overseas investors had to furnish the details of their end-beneficiaries and sources of funds. Sources say Sebi through their custodians is in the process of imposing restrictions on non-compliant FPIs. Experts, however, feel the Sebi bar is unlikely to have a huge impact on the market or flows. “While non-compliant FPIs cannot make any fresh purchase of securities, they can continue to sell their existing securities and repatriate the money outside India. To say that the Indian assets of FPIs will get blocked is not correct,” said Rajesh Gandhi, partner at Deloitte Haskins & Sells LLP. He further explained that even if one assumes the number of such FPIs to be around 20 per cent, it won’t have any major impact on the market. “In any case, as soon as the FPI provides the required information, it can immediately start making the purchases,” Gandhi said. Industry players said the non-compliant FPIs have reservations providing certain details asked for by Sebi. “Certain FPIs have expressed apprehensions in providing the beneficial owner details as they were obliged by the confidentiality clause in their home country,” said a regulatory source. 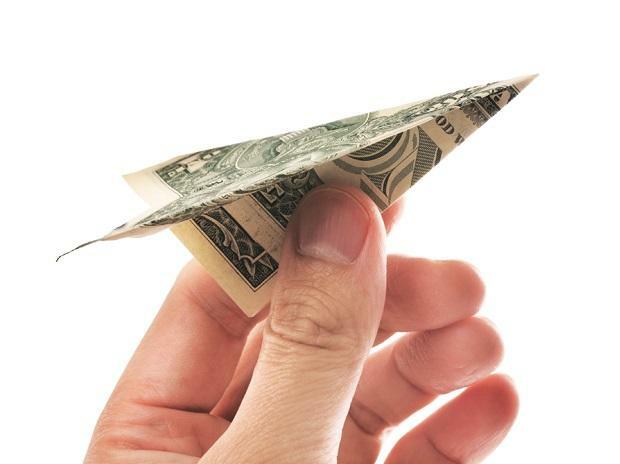 Sources say that custodians handling FPIs that are yet to comply are being instructed to not execute fresh purchases on behalf of their clients for a period of six months. “In the interim, non-compliant participants will have to submit the details of beneficial ownership, failing which their registration could be made invalid and their holdings may have to be liquidated,” the source added. The exercise to identify the end-beneficiaries and sources of fund is aimed at bringing transparency and to ensure the caps on shareholding are maintained. Sources say Sebi also wants to keep tabs on persons involved in activities such as money laundering and terror funding, and have intent to hide behind complex structures to flout the Prevention of Money Laundering Act (PMLA). “It is critical for the regulator to have identification of ultimate beneficial owner, so that no entity is able to hide behind a maze of complex fund structures,” said another expert. In a circular in September 2018, Sebi had said that FPIs have to comply with the beneficial ownership criterion under PMLA provisions and should be made applicable for the purpose of know-your-customer (KYC).According to PMLA rules, the beneficial owner could be an investor or a shareholder of a fund house who can exercise the control over the FPI. If an FPI is a company, the ownership threshold is 25 per cent and 15 per cent if it is a trust or partnership. FPIs under category-II and -III have been asked to maintain the list of beneficial owners provided to the market regulator. Further, the additional KYC requirements for beneficial owners have been done away with for government-related entities which fall under category-I. Sebi rule says that if an existing FPI fails to comply with the applicable KYC requirements by the given deadline, the custodian concerned will not allow such FPIs to make fresh purchases till the time KYC documentation requirements are complied with. However, such FPIs will be allowed to continue to sell the securities already purchased. Such FPIs will be allowed to divest their holdings within a period of 180 days from the expiry of the timeline. In case the FPI remains non-compliant with the requirements even after 180 days from the said deadline, its FPI registration will no longer be valid and it would need to sell its holdings immediately.